Photocopied sign found taped to telephone pole in Chinatown, a few blocks from my studio. Beautiful poster of the apocalyptic warning variety. 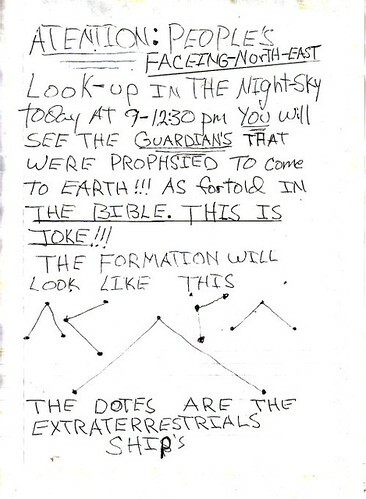 “The dotes are the extraterrestrials ship’s.” I love how ‘dots’ is misspelled, and apostrophe is on the wrong word, but A+ on spelling ‘extraterrestrials’ correctly. I think the writer means “this is no joke” but how can we tell. Marble runs – every house needs one. I spent hours as a kid making marble runs, using anything that was lying around my dad’s tool area. 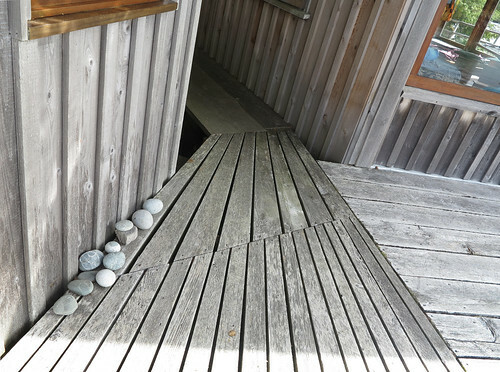 I’d usually start with a big chunk of solid wood (usually cedar, left over from deck-building) and make the marble wind around it in a spiral, down tracks made of elastic bands stretched between two pairs of nails, thin slats with grooves whittled out, leftover copper plumbing pipe etc.